Though you might think eating low-fat dairy foods is a healthy move, new research suggests the habit is tied to a slight rise in the risk of developing Parkinson's disease. (CBS News) - Though you might think eating low-fat dairy foods is a healthy move, new research suggests the habit is tied to a slight rise in the risk of developing Parkinson's disease. Experts who reviewed the study stressed that the findings are preliminary -- the effect was a modest one and the research wasn't designed to prove cause and effect. In the study, researchers analyzed data on about 130,000 men and women, tracking their dietary habits every four years and the number of people diagnosed with Parkinson's. After 25 years, more than 1,000 people developed Parkinson's, a progressive neurodegenerative illness affecting coordination and movement. Those who consumed at least three servings of low-fat dairy a day had a 34 percent higher risk of getting the disorder than those who only consumed one serving a day. Looking specifically at milk consumption, the researchers found that drinking more than one serving of low-fat or skim milk daily was also linked with a 39 percent higher chance of developing Parkinson's. (Low-fat also included nonfat). Even so, the researchers said it was crucial to put the risk in perspective. "It is important to note that the risk of Parkinson's disease is still low, even among people in our study who consumed higher amounts of low-fat dairy or milk," said study author Katherine Hughes, a researcher at the Harvard T.H. Chan School of Public Health in Boston. Of the 5,830 people who ate at least three servings a day of low-fat dairy, only 1 percent (60 people), developed Parkinson's during the quarter century of follow-up. To compare, of the more than 77,000 who ate less than a serving a day, only 0.6 percent (483 people), received the diagnosis. While the researchers found a link, the findings didn't prove that eating dairy products causes Parkinson's. "This was an observational study, so like any observational study there is the potential for bias," Hughes noted. For instance, the risk could actually be due to some third factor related to both dairy intake and disease risk. To rule out that possibility, the researchers did control for other factors that affect risk, such as coffee drinking, which has been linked with lower risk of Parkinson's. The researchers also can't explain the link with certainty. According to Hughes, one possible explanation is that milk protein reduces the blood level of urate, a substance derived from uric acid excreted in the urine. Some research has shown that relatively high levels of urate (but not high enough to cause the condition known as gout) are linked with a lower risk of Parkinson's. 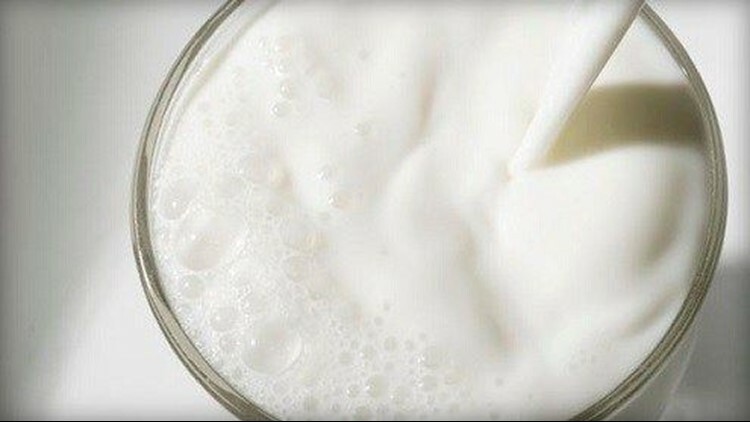 Contaminants in dairy products, such as pesticides, may also play a role, Hughes added. The researchers can't say for sure why they found no link with full-fat dairy, but said it could be that the counter effects of saturated fats in high-fat dairy may help maintain a protective urate level. The findings do add weight to previous findings from laboratory research, said James Beck, chief scientific officer for the Parkinson's Foundation. But, he also cautioned that "all they are able to do is draw a correlation," and not prove cause and effect. "I would suggest people not alter their diets dramatically," Beck said. "This is a modest increase in risk for a disease that, when you look at the general population, is still relatively rare." Getting enough calcium from dairy products is important for other health reasons, Beck added, such as maintaining bone health. A dairy industry representative also pointed to the other benefits of dairy, including a reduced risk of both heart disease and type 2 diabetes, and lower blood pressure. "Given that most people don't eat enough dairy foods -- with the average American only eating 1.8 of the recommended three servings of dairy per day ... it's likely in most people's interest to eat a balanced, nutrient-rich diet, representative of all food groups -- including dairy -- while the emerging science unfolds," said Chris Cifelli. He is vice president of nutrition research at the National Dairy Council. Cifelli added that "total dairy intake was not significantly associated" with Parkinson's risk, and that only an association was shown between the two. Roughly 1 million people have been diagnosed with Parkinson's in the United States, according to the Parkinson's Foundation, and 60,000 new cases are diagnosed annually.